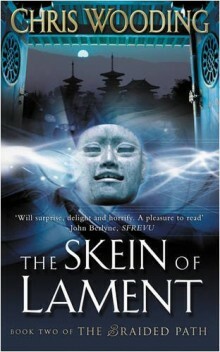 It’s very hard to find anything to say about this book that won’t include plot spoilers, because while each book of The Braided Path can be read alone, they are actually three acts in one continuous story and far too interlinked to allow me to talk about events in the second book without revealing what happened in the first. Even if I flagged the spoilers up I suspect people would peek anyway. So I’ll keep this short and vague. Weavers and provides answers to some of the questions raised in Book One.